The purpose of the CISPE Code of Conduct is to help cloud customers ensure that their cloud infrastructure provider is using appropriate data protection standards to protect their data consistent with Europe’s current Data Protection Directive and the General Data Protection Regulation (‘GDPR’) that will come into force in May 2018. Cloud providers adhering to the Code must give customers the choice to store and process their data entirely within the European Economic Area. Providers must also commit that they will not access or use their customers’ data for their own purposes, including, in particular, for the purposes of data mining, profiling or direct marketing. All cloud infrastructure services that comply with the CISPE Data Protection Code of Conduct are available on the CISPE Public Register: www.cispe.cloud/PublicRegister and will be easily recognized with the following compliance mark. Companies declaring compliance with the CISPE Code of Conduct requirements represent a group of leading cloud infrastructure providers operating in Europe: 1&1, Amazon Web Services (AWS), Aruba, DADA, Daticum, Gigas Hosting, Ikoula, LeaseWeb, Outscale, OVH, Seeweb, SolidHost and UpCloud, with more to be announced soon. CISPE is currently reviewing the declarations it has received and will update the CISPE Public Register in due course. The CISPE Data Protection Code of Conduct provides a data protection compliance framework that makes it easier for customers to assess whether cloud infrastructure services being offered by a particular provider are suitable for the processing of personal data they wish to perform and for them to comply with their current obligations and those coming under the GDPR. Its purpose is to facilitate the proper application of the new European rules on data protection from the GDPR. CISPE members share the GDPR’s objectives of strengthening citizens’ fundamental rights in the digital age and are therefore proactively outlining best practices ahead of the GDPR coming into force next year. The Code can be used as a tool by customers in Europe to assess if a particular cloud infrastructure service provides appropriate safeguards for the processing they wish to perform. “The CISPE Data Protection Code of Conduct will be another powerful tool in the hands of our customers to help them comply with Europe’s data protection requirements. Our compliance with the Code will add to the long list of international recognized certification and accreditations AWS already has today, including ISO 27001, ISO 27018, ISO 9001, SOC 1, 2, 3, PCI DSS Level 1 and many more,” said Steve Schmidt, Chief Information Security Officer, Amazon Web Services. “With the adherence to this Code, we demonstrate that we are fully prepared to take all regulatory perspectives on the subject into account” said Georgi Tsekov, Daticum Sales Director. “At Gigas, the first cloud computing Spanish representative within the European Association CISPE, we are taking a step forward in our commitment to transparency and total privacy of our customers’ data. Being aware that such privacy is critical for both public administrations and private companies, we anticipate the requirements of the EU’s General Regulation on Data Protection,” confirms Diego Cabezudo, Gigas CEO. “The CISPE Code of Conduct is a giant leap towards the acknowledgement of all the efforts that the EU Privacy and the European cloud providers have put to support the rights of citizens and their privacy. EnterCloudSuite is one of the leading Italian and European IAAS providers and it was entirely designed with the EU regulation in mind, since the beginning in 2013. When the EU in 2015 appointed us as the official public IAAS provider for the 52 institutions we understood that being supportive to the EU regulation was key to be competitive in this market” said Mariano Cunietti, CTO of Enter.eu. “A common base was necessary to anticipate the evolutions of the data protection legislation. With the CISPE Code of Conduct, the major European infrastructure providers are now unified to defend high standards in customers’ data storage and process. We are proud to be part of this association which gives strength to the values we stand for,” Jules-Henri Gavetti, CEO, and Founder of Ikoula. “LeaseWeb, the largest IAAS hosting supplier in the Netherlands and one of the largest providers in Europe, wishes to make crystal clear to our customers, business partners and privacy authorities how our data processing roles and responsibilities are secured fulfilled the GDPR. We have an outstanding level of security and want to establish this by participating in the self-regulatory CISPE” said Con Zwinkels, CEO and Founder of LeaseWeb Global. “As our customers are our assets, we deem that preserving their data is the most important part of our industrial mission. We need to take care of such data and value each little aspect related to security, privacy, data protection and so on through certified data centers, certified personnel and certified processes. Joining CISPE has been a very important milestone for us. The adherence to “CISPE Code of Conduct” represents a great added value that we offer to our customers and to the market” said Antonio Baldassarra CEO of Seeweb. “UpCloud has always valued customers’ privacy issues to a high standard and thus it is natural for us to be one of the first infrastructure providers in Europe to promote CISPE Code of Conduct for proper GDPR compliance in our industry” said Antti Vilpponen, CEO of UpCloud. “Our commitment to the customer’s delight inspires us to offer innovative solutions that anticipate the needs of the market also in terms of security and transparency of our services. Our goal is to continue to grow with them as an international leader providing professional services for increasing trust and efficiency on the Internet” said Claudio Corbetta, CEO of DADA Group. 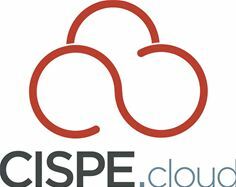 CISPE is an association of cloud infrastructure services providers operating in Europe. The association is open to all companies, no matter where they are headquartered, provided they declare that at least one of their cloud infrastructure services meets the requirements of the CISPE Data Protection Code of Conduct.